Trimming down artichokes to get to the luscious hearts can be intimidating. Luckily, preserved versions of this spring vegetable are just as delicious. Here are 9 ways to use artichokes, whether fresh, jarred or frozen. Whole. Steaming whole artichokes to serve with butter or mayonnaise is a classic. But you can be like chef Richard Blais and doctor the mayo with capers, lemon and smoked paprika. Or, take this method to the next level and pull the leaves off the artichokes and then roast them in a hot oven until browned. You still have to scrape the flesh off with your teeth but it is extra delicious this way. Raw. 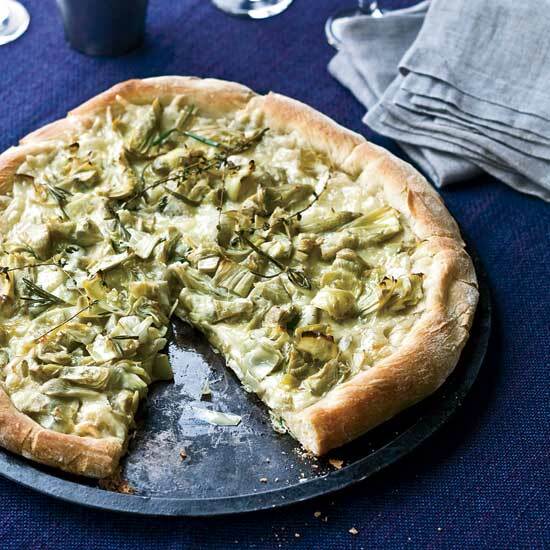 Thinly slice trimmed baby artichokes and toss with a lemony dressing, like star chef Mario Batali. Fried. When fried, the leaves on trimmed fresh artichokes fan out and get addictively crisp. Grilled. Boil trimmed artichokes until tender, then finish them on the grill to give them a luscious smoky flavor. Dip. Instead of the usual cream cheese base, use Greek yogurt and silken tofu in a healthified version of creamy artichoke dip. Pizza. Marinate frozen artichoke hearts in herbed olive oil and throw them on top of white pizza or a pizza with the works.